CANTERBURY (Scrap Monster): The plastics recycling industry has launched a new action plan aimed at making significant contributions towards achieving the UK government’s 2017 recycling target of 57%. The ‘Plastics Industry Recycling Action Plan’ (PIRAP) was launched yesterday at the Plastics Recycling Expo in Telford. The initiative is co-sponsored by Plastics 2020 Consortium and the Waste & Resource Action Programme (WRAP). According to reports, PIRAP, initially announced in Sep ’14, aims to transform the plastic recycling sector in the UK into more resilient and sustainable one. It outlines methods to enhance plastic collection rates and optimize sorting technologies. The plan also emphasizes on the need for developing end markets for plastic recyclate. By doing so, it intends to contribute in a big way towards achieving the set recycling target of 57% by 2017. The Action plan states that the plastic capture rates by the UK must be increased by at least 350,000 tonnes in order to achieve 57% target. The Central government must implement necessary changes to the regulatory policies to meet with the requirements of PIRAP. Also, local authorities must allocate more funds towards extending existing collections by bringing in more households under their coverage. In addition, the plastic reprocessing sector must make fresh investments on capacity additions. PIRAP estimates that the capacity must be increased by at least 100 kilotonnes per annum over the next three years. The plastic sector needs to work towards identifying new high-quality markets for recycled plastics. Obligated businesses must show special interest to promote the use of recycled plastics in packaging their products. 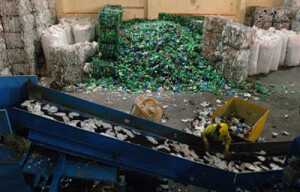 The packaging design criteria need to be re-worked so as to accommodate higher volumes of recycled plastics. Till date, 21 organizations from the plastics recycling sector have extended support to the PIRAP Action plan.